Here is the birthday girl. Looking a bit tired but very happy. Here is Kong Kong, getting smart up for Mah Mah's cake cutting ceremony. 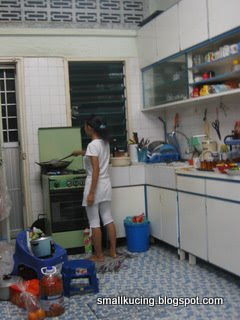 Here is Kakak Yanti, busy frying nuggets. 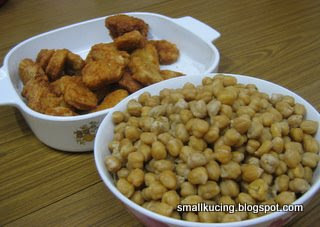 Crispy Golden Nuggets and kacang. 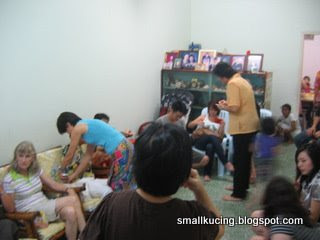 Guests fill the house with sound of joy and happiness. And more coming each minute. 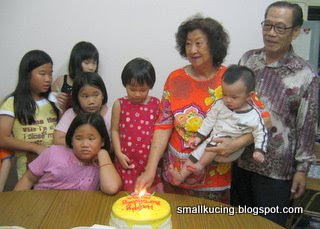 Here is Mah Mah and all the grand children....waiiiiit a minute...where is Koh Koh Yuen? Opps got squeezed out of the pcture. 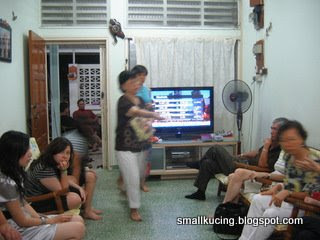 can only see his sleeve at the left hand side of the photo. 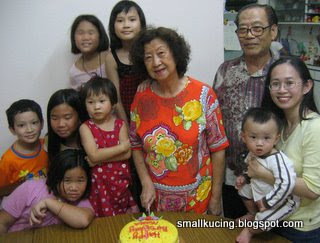 Okay..here is truly Mah Mah, Kong Kong and all the grandkids.. alamak! 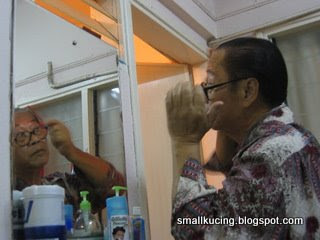 what's Mamarazzi doing in here pulak?? 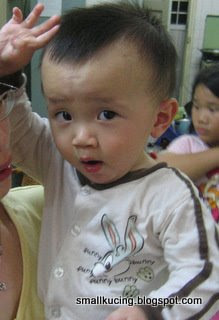 Oh...I am getting too heavy for Mah Mah to carry is it?? 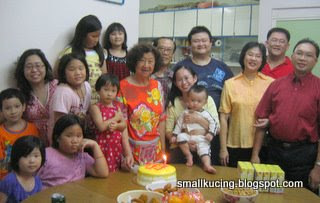 Ah....here is truly one whole happy family photo. Much much better than taken in any studio. Everyone are having a dazzling smile. Say "Cheeeeeezzzeeeee!". Mah Mah feeding me a piece of the birthday cake. Can I make a wish on the bite of the birthday cake? 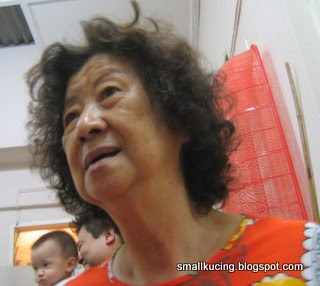 I wish Mah Mah a long, happy and healthy life. Beddy bye bye now..It's my bedtime. 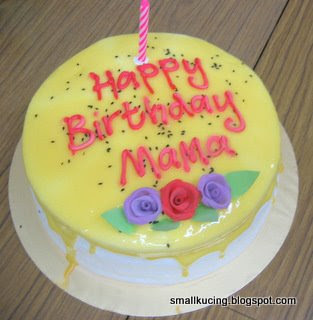 Gudnite everyone and Happy Birthday once again, Mah Mah.